This time, in my July FabBag, I got 5 products that came nicely packed in a beautiful golden bag. The bag looks really stylish, and truly a correct name has been given to it- The Red Carpet Fab Bag. Looks no less than a celebrity! So, the first product I got is the Ayroma Spa Fairness Daily Scrub. Along with the scrub, I also found the Ayroma Spa Fairness and Anti-Tan Face Wash. Both of these are sample-sized products of 8ml. Can be used quite a number of times.The full-sized ones would cost you around 279 for 50 g for the Scrub and Rs. 349 for 100ml for the face wash. They have a pleasant fragrance and I would love to try these out. They claim to be crafted from spa oils. Using unitary method, the sample-sized scrub should cost around Rs. 45 and the face-wash's cost is coming to be around Rs. 28. I found a 60ml bottle of the Vana Italian Bergamot Luxury Summer Shimmer Sunscreen. Contains no parabens and is 100% vegan. It contains a lot of shimmer particles, perfect to give an appearance of glowing skin. Amazing for wedding ceremonies and other parties and functions. This is also a sample-sized product and the full-sized bottle of 115 ml would cost around Rs. 2400. Yeah, it is expensive! Using unitary method calculation, this sample-sized bottle should be costing something around Rs. 1252. 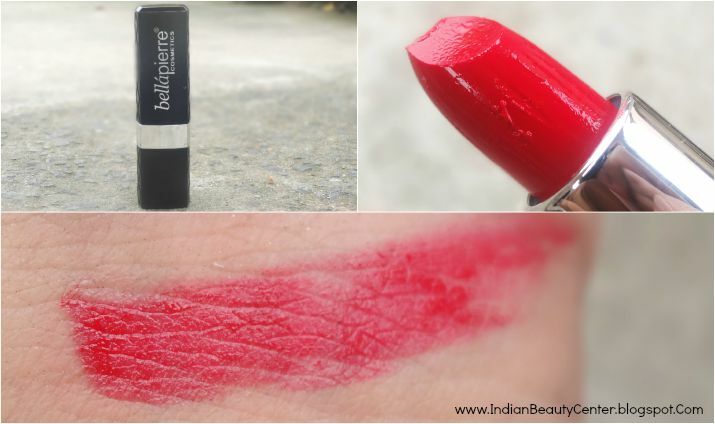 I also received a Bellapierre Cosmetics Ruby Lipstick. It has a balmy texture and gives a beautiful coral-red color to the lips. I am quite excited to try this out and I have received a full-sized product that costs Rs. 1500 for 3.5 g. The packaging looks lovely and it glides really smoothly and sort of melts on the lips. Easy to apply, but transfers a lot. Going by the texture, I think that this would not dry out the lips at all and would rather moisturize them. Finally, a new brand called Sugar has been introduced to me by Fab Bag. 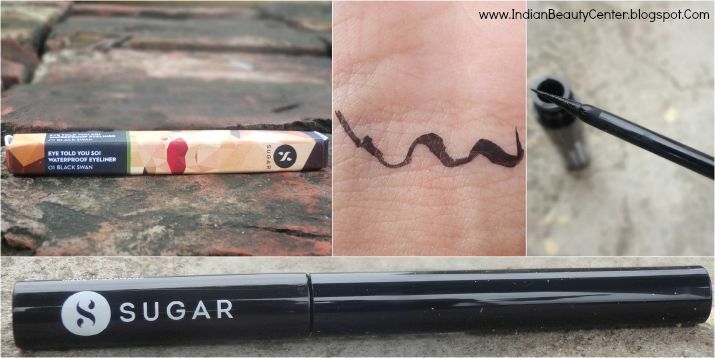 I discovered the Sugar Eye Told You So Waterproof Eyeliner in my Fab Bag. I got it in the shade 01 Black Swan, which is a basically a black color. It says that it can be easily removed using warm water as it peels off easily. Claims to stay put the whole day. I have not tried it out on my eyes yet, but I am quite excited about this. 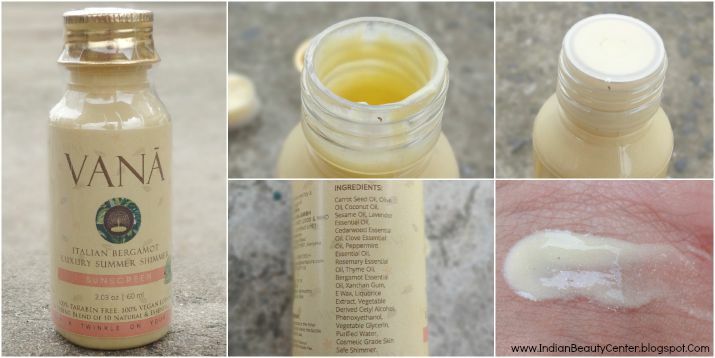 I received the full-sized product of this in my pouch and it costs Rs. 699 for 1.7 ml. So, overall, this month's Fab Bag contains some fabulous products, especially the Sugar Eyeliner and the Vana Body Shimmer. I am also looking forward to trying the Bellepierre lipstick and the Ayorma Spa face scrub and face wash. I also got a card with my name that tells me about the contents of my fab bag. I received my fab post, which is a fab bag magazine containing details of all the products inside the pouch. Let's do a price check- This July Fab Bag contains products of approximate worth- Rs. 28+45+1252+1500+699 = Rs. 3524. And, you pay only Rs. 399 per month (by opting for the 12 month subscription). So, definitely Fab bag is an amazing beauty subscription service, the most popular one in India. Some exciting products in the bag. Even the bag is gorgeous. the bag is oh so fab! !